julefeiring i tyskland visit Last year I posted a little blurb about how my father, Craig Loehle, wrote a new book. I decided to promote it a little bit more, because I think a lot of people still haven’t heard about it. Using the Power of the Revelation of Bahá’u’lláh to Revitalize the Individual and Society. http://foreignclever.com/2018 leisten mit runden kanten What does it mean to build the ‘Kingdom of God on earth’? Why a building process and not a miraculous process, a snap of God’s fingers? Is there a model for the future society? And if so, is it something we would want? 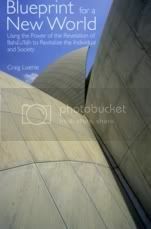 http://expectbeer.site malerier til salgs Craig Loehle suggests that a new world view is needed for society to take the next steps of social and material progress. Such a world view, he proposes, can only be provided by a new revelation of guidance from God. He thus explores the teachings of Bahá’u’lláh, founder of the Bahá’í Faith, as this new divine revelation and examines the role Bahá’ís play as inventors in the development of the new social and economic systems that will form the pattern for a peaceful, united and just future society. http://pensince.download/2018/08 schritte plus alpha zusatzmaterial You can buy it at the George Ronald Publisher web site, or at the Baha’i Distribution Service site. Pass the word on to your friends, buy the book! http://threehello.site/2018/08 slik fjernes nakkestoetter fra bmw Didn’t know that was your dad, the apple apparently does not fall far from the tree. http://borrowschool.site petite télé pour voiture Thanks, Philipe!